Home → Flight training → What can you expect when you fly for the first time? It’s straight forward: You will have a awesome experience! 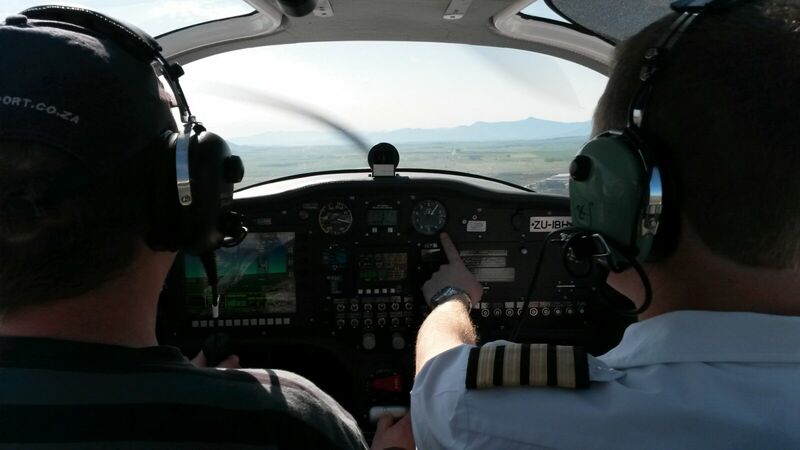 You’ll be under the supervision of a professional experienced pilot instructor. He or she will give you all the information you’ll need to enjoy your first flight safely.When you are up in the air for the first time, you get a chance to feel what is is like to operate an aircraft’s controls. You’ll be given the opportunity to taxi the aircraft, take part in the take off, and enjoy the pleasure of being in the skies. You will be in control of the aircraft for most of the flight, and be in safe hands. We will help you select a great day for your experience. The weather in Cape Town is good most of the time, even if the wind blows a bit. Please ask about the best day that we suggest. If you are wondering how long it will take you to get your pilot license, this will depend on your own learning skills, and which license you pursue. Contact Aerosport Flight Training and we’ll be glad to help you with your request and questions.